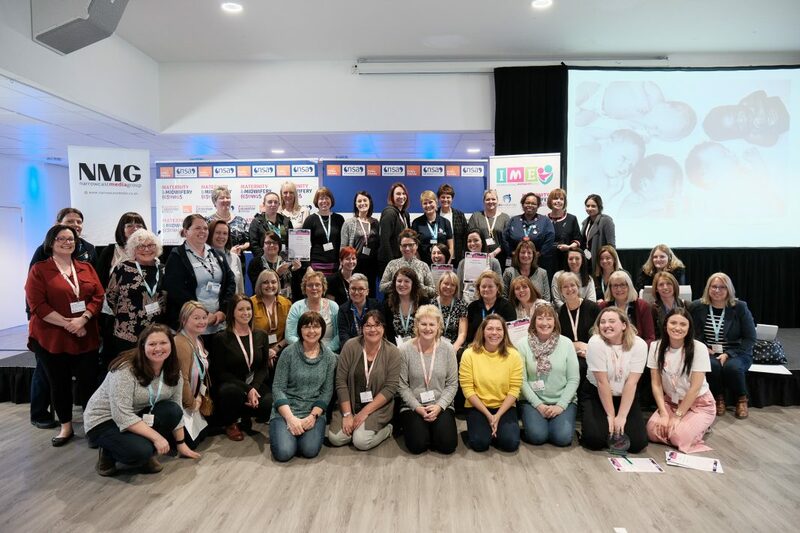 Midwives from across the Midlands were honoured at the second annual Midlands Maternity & Midwifery Festival Awards this week. The Awards ceremony took place at the King Power Stadium in Leicester on Tuesday 9th April, the big winners on the day included the Melanie Wildman, Postnatal War Manager, Royal Oldham Hospital; Carmel McCalmont, Director of Midwifery Birmingham and Solihull Local Maternity System, Birmingham Women’s and Children’s NHS Trust; Jayne Marshall, Foundation Professor in Midwifery, University of Leicester; Rebecca Telling, Student Midwife/Newly qualified Midwife, University Hospitals Leicester and the Maternity Team at University Hospitals of Leicester. 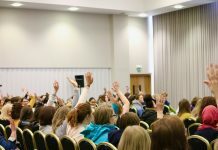 The Festival was attended by more than 400 midwives, doulas and healthcare professionals with many hundreds more watching the live stream of the event online with viewing parties taking place throughout the country. The awards were presented by conference chair and Midwifery Consultant, Sue Macdonald. The Midlands MMF Innovation Award recognises an innovation, service or clinical research in a midwifery or maternity setting. The innovation award was won by Melanie Wildman , Postnatal Ward Manager, Royal Oldham Hospital for improving staff moral significantly with a cost-neutral initiative called 10@10. The ethos of 10@10 was to provide ten protected minutes at 10am and 10pm where all staff on the ward join together as a team. The overall purpose was to update the shift coordinator and each other on the safety of women, babies and the ward environment. The team quickly understood the advantages of updating each other on what was happening they shared safeguarding issues, potential discharges and unwell mum’s and babies. This small but influential innovation has positively impacted on Melanie’s ward, the hospital and has gained wider influence around the world with midwives as far as Australia copying the idea and are reporting success. Highly commended in this category was University Hospitals of Leicester Home Birth Team for developing a core team of expert Homebirth Midwives, leading to home birth rate increase of 41.3%. The London Maternity & Midwifery Festival Management Award recognises an individual who has played a regional, professional or national role above and beyond their day job. The management award was won by Carmel McCalmont, Director of Midwifery Birmingham and Solihull Local Maternity System , Birmingham Women’s and Children’s NHS Trust. Carmel, who is retiring this year, has been a Head of Midwifery since 2004, and has held the post of Director of Nursing and Midwifery. 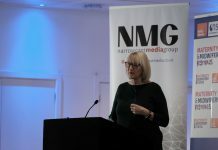 Throughout her long and distinguished career she has proved herself to be an exemplar of positive leadership – courageous to challenge and innovate, whilst compassionate to the needs of local families and the maternity workers and teams who serve them. Highly Commended in this category was Annabelle Barker, Band 7 Manager/Midwife, University Hospitals of Leicester, Home Birth Team for rising to the challenge of implementing a new way of working and managing home birth within a busy maternity service, launching an expert homebirth team providing 24/7 home antenatal, intrapartum and postnatal care for planned home births. 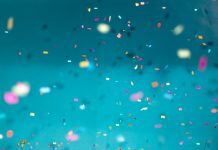 The Midlands MMF Achievement Award recognises an individual for a lifetime of service and impact who has made a difference and inspired others. The achievement award was won by Jayne Marshall, Foundation Professor in Midwifery, University of Leicester for her lifetime of service to midwifery education. Throughout her career Jayne has shown great insight and vision, a keen eye to spot talent and clearly demonstrates her dedication in leading, inspiring and mentoring others to successfully develop from student into competent midwife with the potential to occupy a range of professional roles. The high standards and professional qualities that Jayne embodies make her an ideal role model for others to emulate. Highly commended in this category was Barbara MacDonald, Clinical Placement Facilitator, University Hospitals of Leicester NHS Trust for her role as clinical placement facilitator, working alongside the Placement Team within UHL trust, where the positive impact she has on every student she encounters has proved to be an inspiration for the staff around her. Barbara is ensuring that UHL are training and motivating the midwives of the future who will ultimately provide better care and improve maternity services for all. 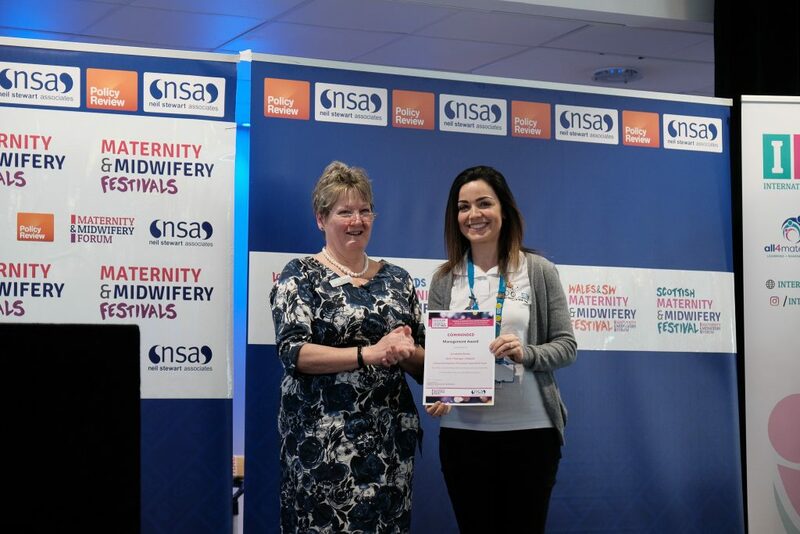 The Midlands Maternity & Midwifery Festival Student and Newly Qualified Midwife Award recognises an individual student midwife or newly qualified midwife for their contribution or achievement in midwifery or maternity practice while in training. 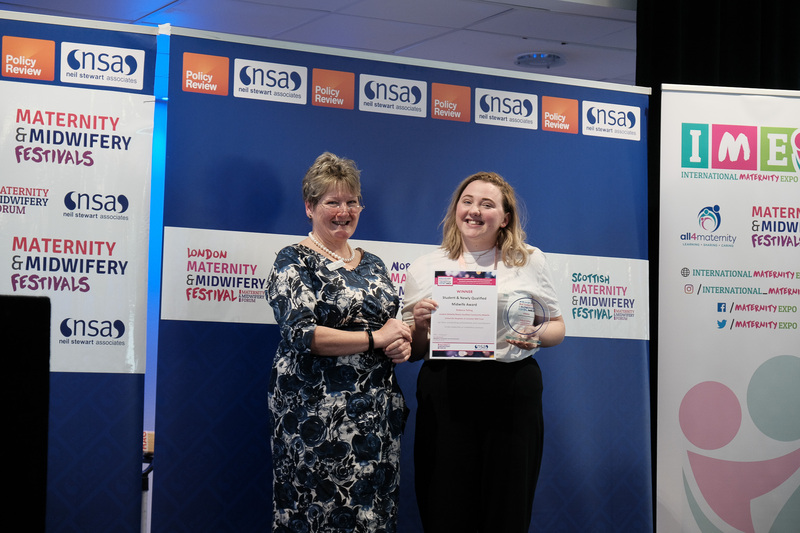 The Student and NQM award was won by Rebecca Telling, Student Midwife/Newly Qualified Midwife, University Hospitals of Leicester for her passion, enthusiasm and commitment not only for midwifery and woman’s health but for health care in its widest sense. As a student midwife she has attended a DMU Global trip to Peru, an area that she has interest in, promoting health and development opportunities. She has been active in supporting the Student led breastfeeding Clinic and been a productive member of the Midwifery Society. Most recently she had the vision, energy and skills to create organise and run a Breastfeeding in Art Exhibition, raising the profile of DMU. Her latest project involves supporting the art work and social media campaign surrounding the “Don’t Fear the Smear Campaign”. 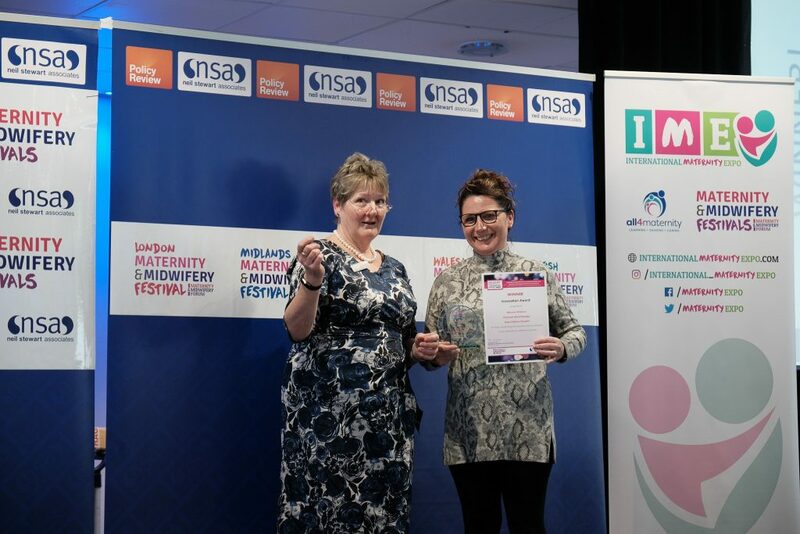 Highly commended in this category was Naomi Plant, Midwife, Lincoln County Hospital for the compassion she shows for women and her positive attitude to implement change. She demonstrates all that it means to be with woman from her aim to be a case holding midwife to her work beyond just her job description to her contributions to the DMU midwifery society. She seeks ways to normalise breastfeeding and providing truly holistic care. 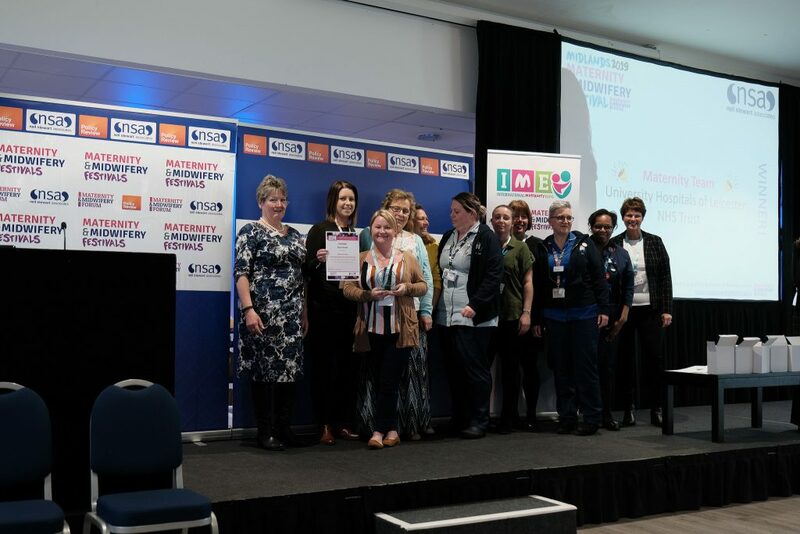 The hotly contested Midlands Maternity & Midwifery Festival Team Award recognised midwifery teams who have demonstrated innovation, excellent inter-professional working and who have transformed services. The Team Award was won by the Maternity Team, University Hospitals of Leicester for their response to times of crisis and peaks of high activity, when the whole MDT across all sites comes together to provide the best care for women. Cross site support is excellent – St Marys Birth Centre assist with triage phone calls and take low risk women to birth there and the homebirth team come in to the unit to help out when the team are in desperate need of support. On top of the day to day operational activity the team strive for safety, positive experiences for women as well as regularly looking for new ways to make working life easier and more supportive. 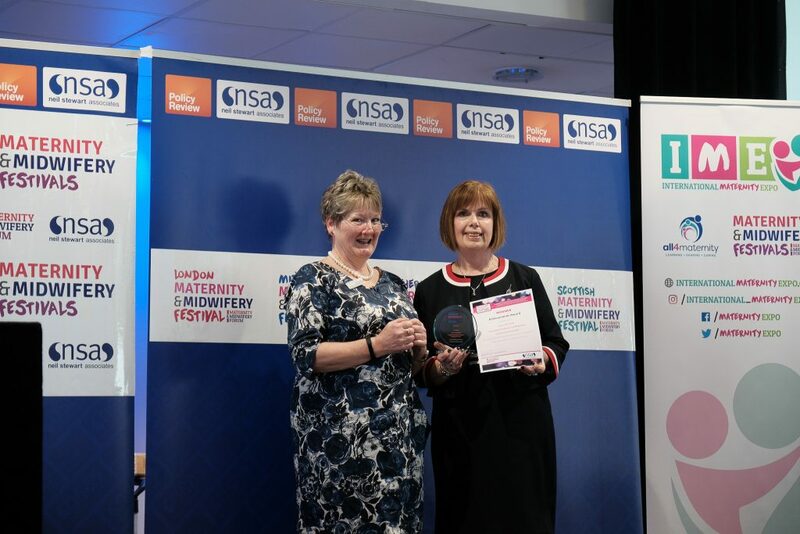 Highly commended in this category was the Lancashire Teaching Hospitals Maternity Service led by Head of Midwifery Cathy Atherton who displays exemplary leadership which enables the whole multidisciplinary team to innovate and deliver high quality care. The team’s achievements are numerous and have led to them being awarded Beacon Status (one of 3 Trusts nationally) for their midwifery led services in July 2018, by the Midwifery Unit Network. “This is the annual Midlands Maternity and Midwifery Festival Awards – which recognise the talent, motivation and excellence of midwives and maternity teams involved in the provision of maternity care in the Midlands. I was delighted to play a part in these very special awards. The standard of submissions was very high, so the Festival judges had to work hard to select the winners. Midwives are always busy providing care to mothers, babies and their families, so rarely shout about what they do, and so it is great to be able to highlight the fantastic work of those who were nominated by colleagues, and celebrate all that is the best in UK midwifery and maternity services. The breadth of those nominated reflect the diverse roles midwives hold, in education, research, management and clinical practice, and the impact they have in ensuring, safe, compassionate and tailored care to women and their babies. Throughout 2019 our Maternity & Midwifery Festivals will be on the road with award ceremonies taking place in Bolton, Cardiff and Edinburgh – we hope to see you there!